One of the major important lessons for me as a food blogger is none except knowing very well that an invited food review will forever be simply the best. Sincerely. Believe me you. Unlike when you walk in as another customer, invitation means everything will be super-duper mind blowing. Table already set-up, menu prior arranged, utmost welcoming customer service, so on and so forth, I can go on and on to affirm that nothing will fall short. Walking into Vineria.It after almost two hours of crawling during this Friday jam, all the way from Shah Alam, until I was so close to turning back, but a promise is a promise because I have agreed, additionally, at my splitting headache and my hair literally soaking wet due to rushing for making it on time, seriously guy, I immediately fell in love with their ambiance. 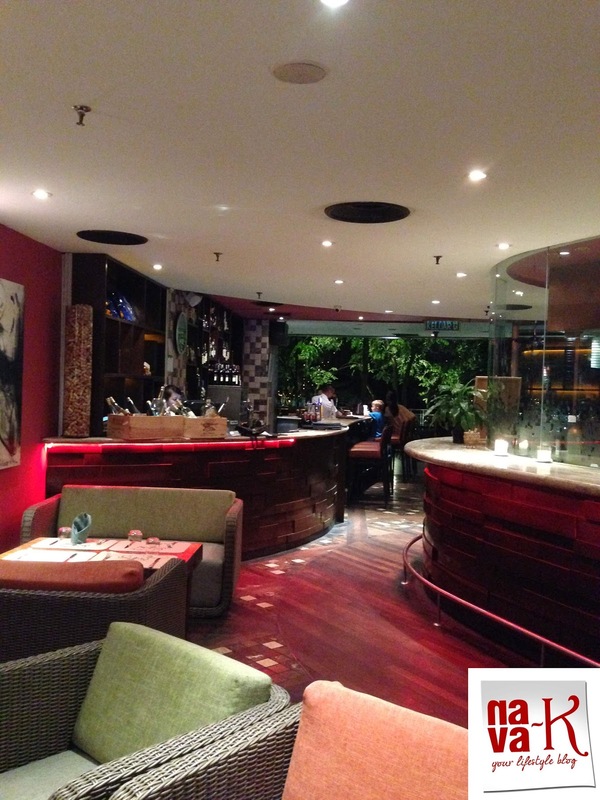 Especially once I took further steps towards the outside dining area, overlooking the exclusive high end condominiums or huge houses. Supposedly owned by the rich socialites, or those you perceive are, speak about the showing off culture and flaunting crowd in Bangsar Shopping Centre. Sometimes I can't help but puke when they overdo it, even the inside dining area right across the entrance where I sat was equally beautifully set up. Starting off absolutely promisingly, as badly as I yearned for, I politely declined the free flow of wine. As it is, I have been feeling down for the last two weeks, don't ask me why, I myself couldn't figure out. Maybe its one of those inner emotions, wrecking me upside down for no apparent reason. Yet, one thing was certain. 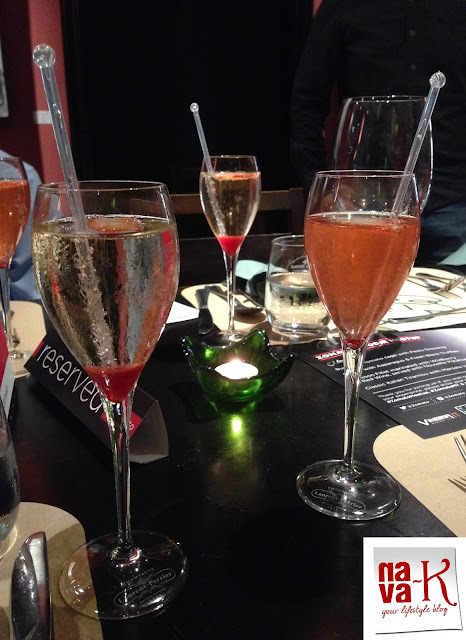 Wine potentially would have made it worst until I didn't dare even a sip of the Bellini sparkling wine. For some people, drinking is the medicine when they are down, whereas for me, a tiny bit would have caused Vineria.It to stand still. My thirst on the other hand was quenched with sky juice while listening to Chef Diego's wisdom to wine pairing, before I tucked into the 4 course meal. 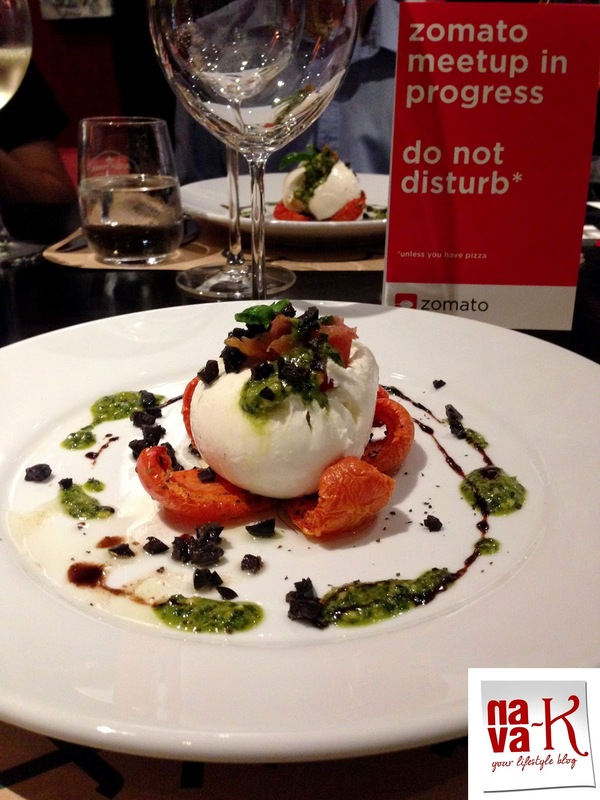 Soft bouncy Italian mozzarella and cream Burrata, paired alongside sun dried sweet, tangy and juicy tomato, fresh salmon and nutty basil pesto. Remarkable. In fact, since its been almost more than five years since I have had such a similar dish in Italy, neither am I a true fan of it, Burrata in Tomato Cage with Pesto Dressing did put a smile on my face. Ravioli stuffed with ricotta and spinach, thereafter sautéed along butter mixed with asparagus and black truffle. Despite dashing in some chilli flakes and cheese, this is not my kindling food. 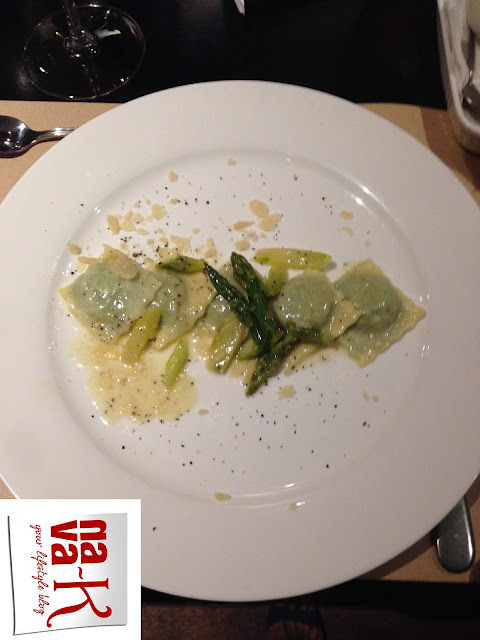 Ravioli with Asparagus and Fresh Black Truffles obviously received high praises from fellow foodies, Nava K however conveniently and willingly handed her share to them. 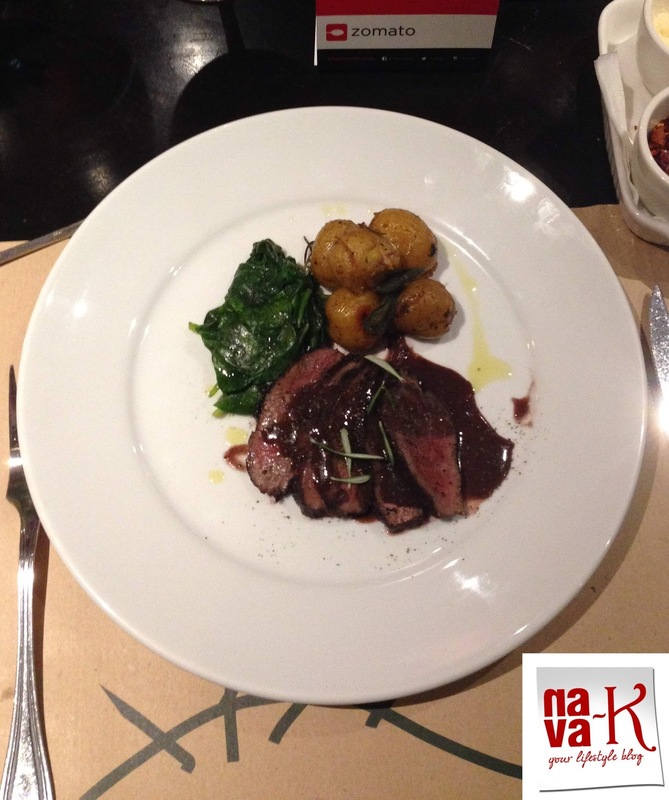 The absolute winner for her was venison fillet marinated with wildberry & red wine, served with nouvelle potatoes. Marination ingredients I was told is a top secret, neither was I pinching myself in wanting to find out, venison fillet marinated for 4 days is then pan-fried for a level of medium or medium rare doneness. Velvety soft venison, seated atop the fruity-sweet, clean-crisp sauce and tucked into with potatoes and green veggie, indeed was a capturing mouthwatering dish, out of their open kitchen. For dessert, we had Classic Italian tiramisu with Marsala ice-cream. 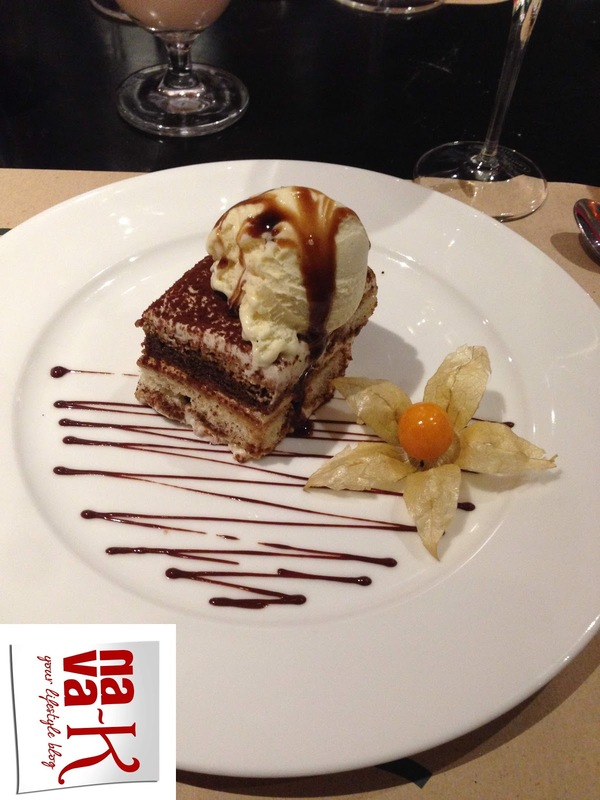 Stylishly plated, this rich sinful guilty pleasure tiramisu and its combination of coffee, cream and booze, as well as creamy and not overly sweet Marsala ice-cream certainly fulfilled the criteria as a perfect sweet note. Oh, wait. 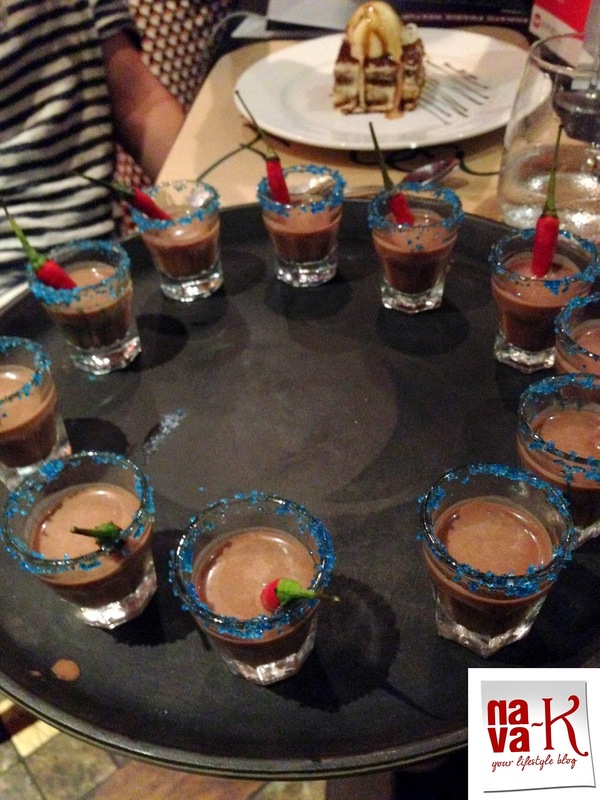 I must tell you about the Chocolate Chilli Shot. My first ever time tasting, this distinctive spicy and chocolaty shot made a lasting impact for punch waking my tongue and throat. Thank you Vineria.It. The pleasure is mine. Wow this is food that I surely love! I always have my share of burrata whenever I am in Delhi. I must try this combination some time. 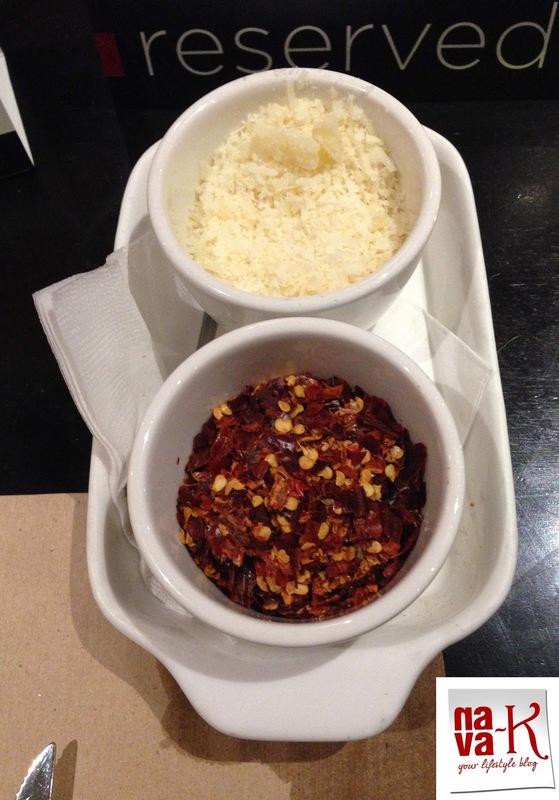 The rest of the dishes look most delicious and glad you included the last picture with the chef. Looking good!! Very tempting dishes. Nava you look very cute and stylish. You look gorgeous nava. You still look energetic. Italian tiramisu is my favorite. All those dishes look awesome. Sounds like a fun and delicious meetup! The tiramisu looks super delicious! I hope you had a great time there, Nava! Looks like a yummy feast. Sigh! Such beautiful menu.. Love how the dishes are presented. They look inviting.